Historic Chippewa City is available to host your wedding. The Gazebo or the non-denominational Village Church are both available. For more information contact ChippewaHistory@outlook.com﻿. The historic Swensson Farm Museum is available to host your dream wedding. 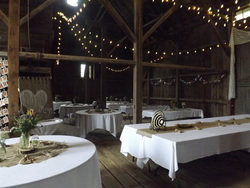 You can also host your reception in the timber-framed barn, and hold your wedding dance there as well! Contact ChippewaHistory@outlook.com ﻿for more information! 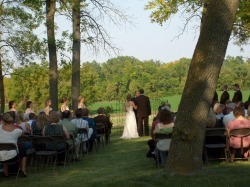 If you are looking for a quaint, serene location to host your wedding, the Lac qui Parle Mission is the ideal place for you. For more information contact ChippewaHistory@outlook.com .